If you thought bulk is better then here is your proof. 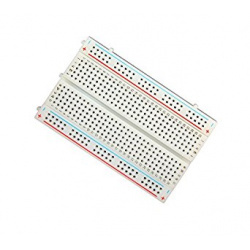 6 Pack mini breadboard in different colours for your DIY electronic projects. 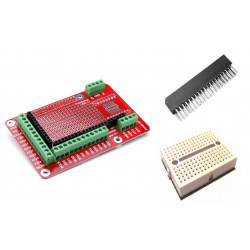 - Ideal for experimenting with circuit design for the Raspberry Pi using the GPIO port. 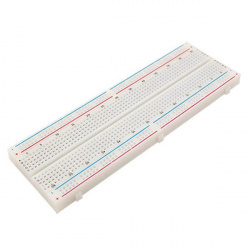 These colourful quarter size breadboards are perfect for small prototyping projects for the Raspberry Pi. 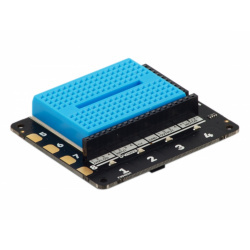 With 2 colours to choose from and easy clip action on each board, you can colour code your prototyping projects as they grow, and rapidly snap extra boards together! Each board is 3.5cm x 4.5cm and has 170 tie points - just enough room to build and test a circuit! 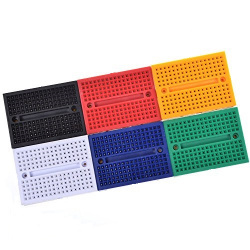 Tie points are arranged in 34 x 5 pin rows. 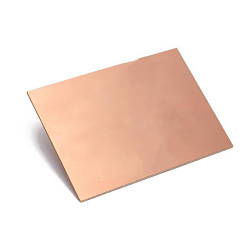 Each board features a self-adhesive backing and a single board will fit alongside the Raspberry Pi inside most cases - two boards will fit within the footprint of the Raspberry Pi. There's also two mounting holes for M2 screws on each board, to anchor them down! 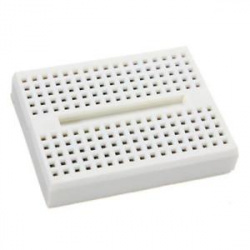 Available in 2 different colours, white and red - why not mix n' match with your Raspberry Pi Case! 170 tie points arrange in 34 rows of 5 pins. 1. 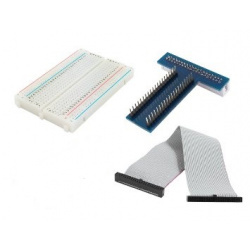 Standard stripboard is great for prototyping and building circuits but it can be time consuming to use with components with certain pin configurations such as IC's. As much time has to be spent breaking tracks to ensure no shorts exist across opposite component pins. This board gets around that problem by having isolated groups of pins. 2. 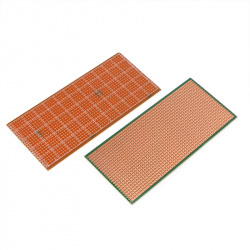 Solderable PCB breadboards, single-sided PCB, matches breadboards with Power Rails. 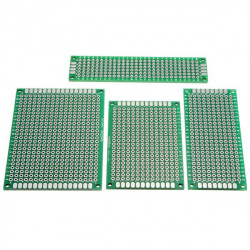 These boards are especially useful for preserving a prototype or experiment you just created on a solderless breadboard by soldering all the pieces in place. Self-adhesive tape on the back, make it easy to stick on a Prototype Shield.